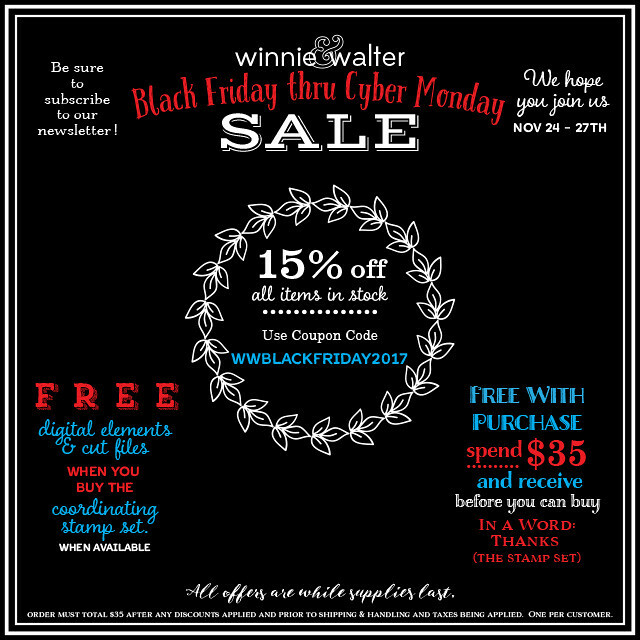 winnie & walter blog: Coming Soon: Black Friday thru Cyber Monday Sale! If you click on the image above you to go to the w&w shop the discount should automatically be applied at checkout as of midnight, Friday, November 24, 2017. Come back tomorrow and Friday at 7:00 a.m. CST here on the w&w blog for inspiration for our free with qualifying purchase stamp set. This one is not limited edition, but it will not officially be released until 2018.